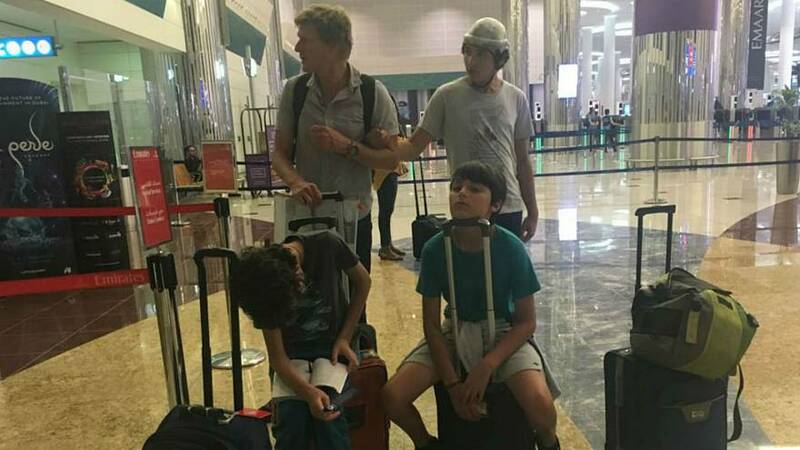 A disabled teenager and his family were removed from an Emirates flight on Wednesday because he suffers from epilepsy, despite having already obtained medical clearance to fly. Eli, the son of Euronews journalist Isabelle Kumar, was set to travel with his family from Dubai to France in the final leg of a long-haul journey from New Zealand via Australia when staff asked to see a medical certificate. “We told Emirates every step of the way that Eli had epilepsy (and autism) but when we asked for a seat with a vacant seat next to it in case he had a seizure they suddenly wanted to see the medical certificate,” Kumar explained. Kumar presented the medical certificate and called the family’s doctor in France to confirm that Eli was able to fly, but flight attendants refused to speak to the doctor and said the certificate needed to be presented to ground staff. The family were then ordered to leave the plane. “It was the lack of humanity that we found really shocking. The staff were faced with a kid with severe disabilities but they threatened to call the police if we didn't get off, even though our bags were still on the plane,” Kumar said. After disembarking, airline staff acknowledged to the family that Eli was fit to fly but wouldn’t allow them to re-board the plane. Kumar said the incident had upset and embarrassed her children. “Eli is very distressed, he can't understand what is happening… My twins were in tears, they felt humiliated,” she said after the incident. Once kicked off - your staff immediately agreed that he is fine to fly - as he has been with every flight with you @emirates. Now there is no flight home. Kids totally distraught and humiliated. Where is your humanity? Following hours of confusion at the airport, Kumar said a solution was reached with the airline for the family to travel on a flight to Geneva on Thursday. But the incident left them “demoralised and exhausted”. “You face endless challenges having a kid with disabilities and being treated with respect would help, but we never give up and this won’t stop us travelling as a family. I will think twice before travelling with Emirates though,” Kumar said. Emirates said they had not been alerted to Eli’s condition in advance and that the Kumars did not provide a 'Fit to Fly' certificate when asked to do so. "Emirates did not discriminate against Ms Kumar and her son in any way. Emirates followed the standard policies applicable for all medical cases," a statement provided by the airline said, noting that accommodation and an alternative flight had been arranged. Kumar says she did alert the airline by telephone the day before the flight and insists she did show Eli's medical certificate. She also says that she had to pay to return from Geneva to Lyon, because her replacement flight landed in the Swiss city, not her original destination.